Using only the stars to navigate, Polynesians arrived on the Hawaiian Islands in their outriggers some 1500 years ago. And while the islands were lush and mountainous with cool, fresh water, these voyagers found little more than fish, seaweed, berries, for food. As they settled the islands, they planted sugar cane, fruits and vegetables such as coconuts, sweet potato and banana, and raised pigs and chickens. With these staple ingredients, early Hawaiian cooking comprised of dishes such as poi (a thick paste made from taro root); poke (raw fish seasoned with Hawaiian sea salt and seaweed); haupia (sweet coconut milk and Polynesian arrowroot); and lau lau (pork wrapped in taro leaves) cooked in an imu (underground oven). When Westerners arrived in the 18th century, they brought with them other foods such as pineapple, coffee and cattle; and when sugar cultivation hit its peak the following century, workers flooded in from China, Japan, Korea, the Philippines, Puerto Rico and Portugal, introducing their flavours to the region. So, the Hawai‘i’s cuisine that we know today was born from a medley of cultural influences. Unique dishes such as Saimin (a Chinese noodle soup), Spam Musubi (essentially Spam sushi, with sticky rice and seaweed), and Malasadas (Portuguese doughnut) became local favourites. In 1991, 12 chefs established ‘Hawai‘i Regional Cuisine’, a culinary movement where they partnered with local farmers to showcase and utilise the best of Hawai‘i’s produce and created a contemporary cuisine that blended fresh Hawaiian ingredients with flavours from around the world. Today, this philosophy continues as the Hawai‘i’s food scene thrives, with many restaurants touting menus focused on Hawaiian flavours. Street food is growing in popularity with roadside stalls and food trucks serving local delicacies made fresh to order. The laid-back town of Hale‘iwa on O‘ahu’s North Shore is ground zero for food truck cuisine, where trailblazer Giovanni’s, which started serving fried shrimp out of a converted 1953 bread truck in 1993, has been joined by trucks serving up everything from Hawai‘i’s comfort food to burgers to acai bowls. Cafes are making really good coffee that Australians will enjoy, and there’s a burgeoning brewery and distillery scene. Cruising the food trucks of O’ahu’s laid-back North Shore is a culinary treat! An ever increasing number of Hawai‘i-based chefs are serving up noteworthy food using locally sourced produce in worth-going-out-of-your-way-for restaurants. One such chef is Hilo native Mark Pomaski at Moon and Turtle, where the constantly changing menu (sometimes daily) inventively makes the most of local seasonal produce and ingredients including ocean-to-plate (or sea-to-service) seafood. Located at the beachfront Kapalua Resort on Maui, partake in cooking classes, wine and food pairings, winemaker dinners, and evening galas hosted by winemakers and prominent chefs from Hawai‘i and across the globe. More than 150 international masterchefs, culinary experts, winemakers and mixologists converge over three islands for three weeks of events, including wine tastings, pool parties, cooking classes for kids, and food and wine pairings. The event raises money for sustainability, culinary programs and agriculture, so while you’re indulging, you’re also doing good. The historic town of Hanapepe comes to life with farm tours, workshops and Q&As with growers and experts, live entertainment and the best part, sampling glorious chocolate and coffee. 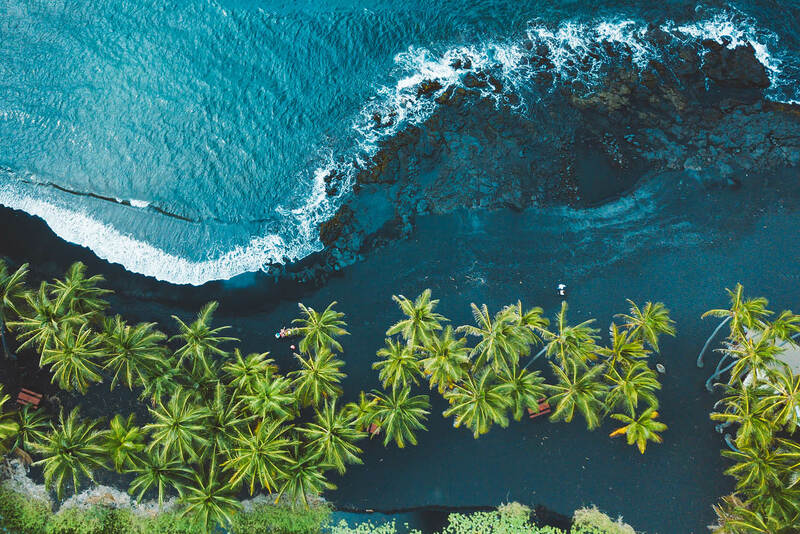 Celebrating and preserving Kona’s 200-year-old coffee heritage, this festival includes farm experiences and coffee picking, barista training, beer, wine and coffee pairing, latte art competitions, as well as art exhibits, concerts and parades.